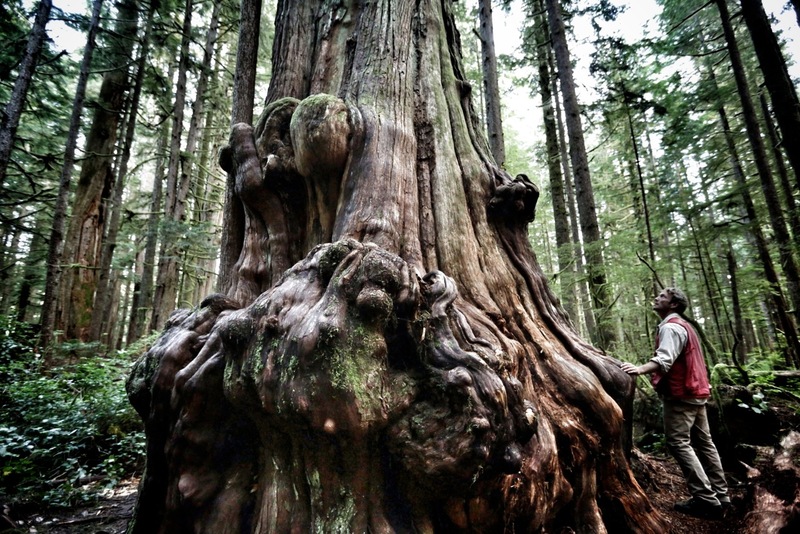 The LSFF 2015 competition section will screen Hadwin’s Judgement, a film by director Sasha Snow. If you like intertwining genres, whether scientific and artistic, this is a film for you. Sasha Snow told us why he had decided to adapt John Valiant’s bestseller The Golden Spruce. 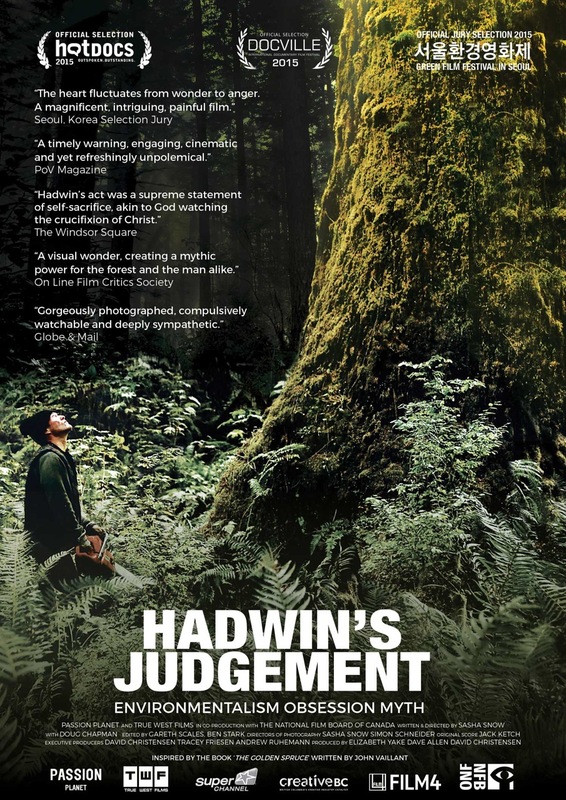 Hadwin’s Judgement is a documentary drama about the destruction of forests as well as a story of an individual who tried to protect the forest so desperately that it made him do a desperate gesture for which he had to pay a really high price. 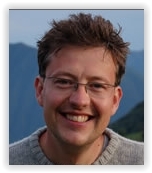 Grant Hadwin is (was?) a real person, a logger and a very capable engineer who spent most of his life in the virgin forests of British Columbia. He had arrived there as an employee of a logging company and his task was to invent ways by which to transport wood away as cheaply as possible. 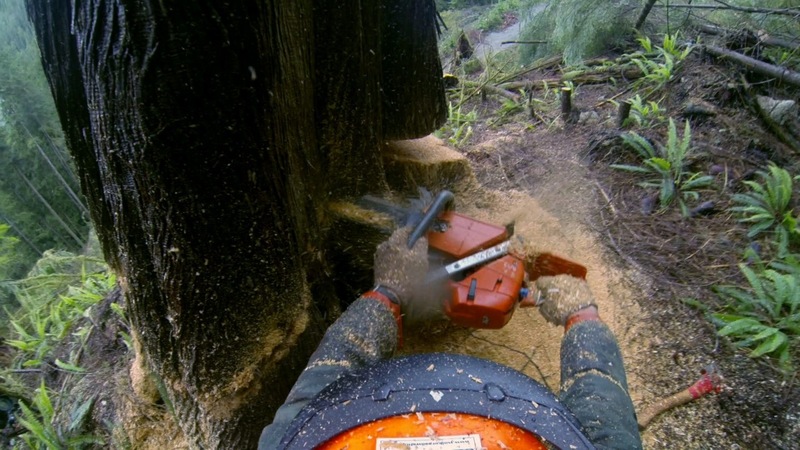 The more successful he was at his job, the more he hated it – but no one paid attention to his calls for ending clear-felling and the introduction of more considerate methods. Desperate and on the edge of his mental strength he decided for a radical solution for which a lot of people still consider him a murderer, although the target of his deed was not a man, but one tree. Sasha Snow is a British director who works for the BBC. During his career, he’s made films as far as in Greenland, Siberia or Zimbabwe on various topics – convicted murderers, tiger hunters or property tycoons. His film Conflict Tiger won 17 festival prizes and in 2010 he received the Environmental Filmmaker of the Decade Award at the Green Planet Movie Awards. What were the particular challenges of adapting John Vaillant’s award-winning book, The Golden Spruce, into a film? Hadwin’s Judgement was very challenging in terms of scale. It spans nearly forty years of individual and collective experience in places scattered throughout the vast state of British Columbia. It is also politically and cultural very sensitive story given the troubled history of Canada’s relations with its indigenous people. The Haida, given the physical separation afforded to them by their island geography, have been especially sensitive to outside interference, particularly when it comes to white folk coming in and appropriating their people, resources and culture. This extends to their stories too, and I had to spend several years slowly gaining the trust of local people. They were rightly concerned with who was telling their story, and ultimately what purpose it would serve. There is still a lot of latent anger towards Grant Hadwin throughout the community, and many people would prefer never to hear his name mentioned again. At what point in the pre-production process did you decide it was going to be a hybrid of documentary and drama? The character and motivations of the dead or missing man are much more open to interpretation than the man who sits before us. We cannot take him at face value. In our attempts to interpret him through a cloud of subjective and conflicting evidence, the dead man becomes a much more potent vessel through which to channel our own thoughts and anxieties. This space is one well suited to a hybrid approach. The inter cutting of ‘fiction’ and ‘non-fiction’ elements provides the storyteller with a very effective means to explore the space between objective ‘truth’ and subjective ‘interpretation’. Can you talk about the decision to exclude references to a specific date/time and documentary representations of Grant Hadwin, the film’s protagonist? Yes, this decision also relates to the desire to explore the space in which myths are created and nurtured. 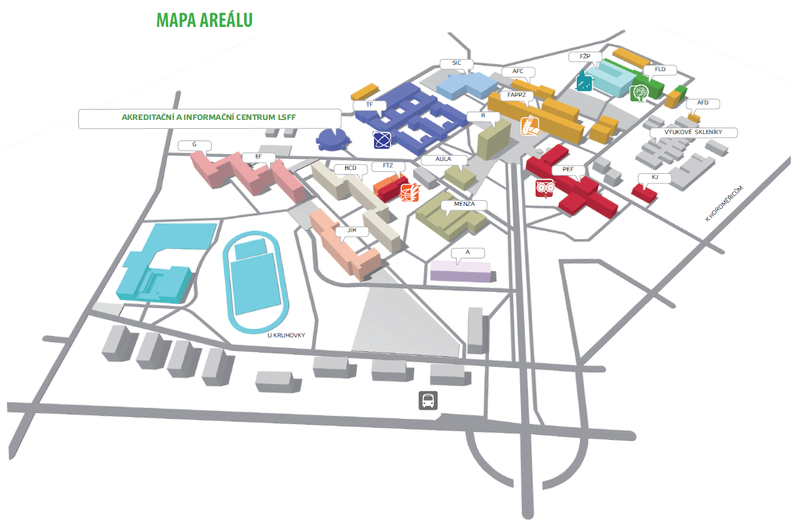 By taking the story out of specific time, and also to some extent out of a specific geography that we can locate on a map, we enhance the universal quality of that story. These events could have come to pass 20 years ago or last week, and taken place in almost any forest on the planet where loggers are having doubts about what they are doing on our behalf. What was it about Grant Hadwin’s story that most resonated with you and that you want most to convey to audiences? The film took 7 years to make. Aside from it being an amazing story, one that would be hard to conceive as a work of fiction, there is one feature above all that has driven me to pursue it over such a prolonged time, namely that I can identify with Grant Hadwin’s crime. It is a crime that potently captures the dilemma facing us all. For almost every act of consumption we make, there is also a corresponding act of destruction unfolding somewhere else. We may not see it directly but we instinctively know it. And Grant Hadwin acted on this knowledge. He did all that he possibly could, in his mind, to stop the destruction, and at great personal cost. He came from within the system of industrial resource extraction, to make a bold statement at a time when even voicing concern was rare and could cost you your livelihood.